New ASUS Transformer Pad 10-inches slim and stylish is a work of art.It has clean lines and bright display with same lightweight and high quality audio with Sonic-master speakers. The New ASUS Transformer Pad give a user touch panel features that user feels touch the surface with fingers and you can use both hands(10 fingers supports) at the same time on the screen like playing with piano this touch helps you to execute commands correctly the first time. 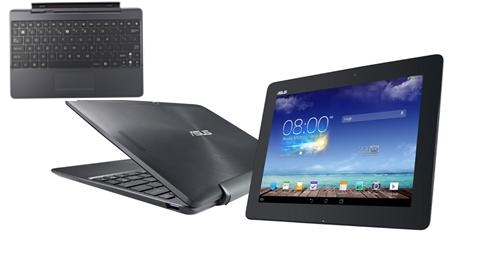 Moreover about gaming experience new ASUS have NIVIDIA Tegra 41.9 Ghz Quad-Core CPU and 72-core GeForce GPU with an incredible 17 hours of battery time and 3.0 USB, its has AUSU Web-storage.